The Apple Pencil isn't just for artists and hand-note-takers. It just needed better software and hardware to broaden its appeal. I probably used the original Apple Pencil for no more than an hour, total, during its entire existence. I don’t draw. I avoid writing by hand whenever possible. My penmanship is awful. The moment my teachers began accepting printed essays, I stopped writing them in longhand. I have never had a good relationship with pens and pencils; why should the Apple Pencil be any different? 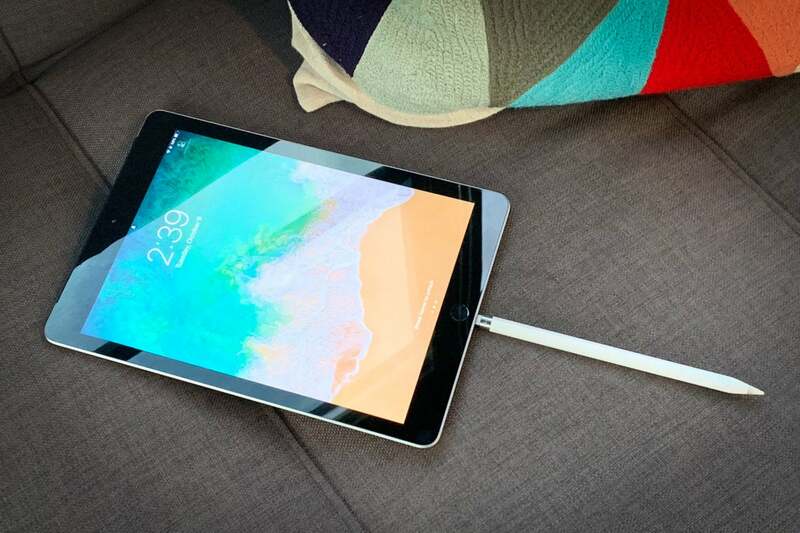 And yet... something funny happened upon the release of the new 11- and 12.9-inch iPad Pro models with the second-generation Apple Pencil. I gave the new Pencil a try. And I’ve used it more in the past five weeks than in the three years that I kept the original Apple Pencil... well, it’s around here somewhere, if I can find it, but it’s probably not charged, anyway. By all accounts, the new Pencil is an update that addresses all of the major shortcomings of the previous model. And to be sure, many of the improvements this time around have helped me stick with it. Its matte finish is more comfortable to hold, and its flat edge gives my fingers something to orient with. That edge also makes it less inclined to roll off tables (though it still does if you’re not careful). The awkward cap with the even-more-awkward Lightning plug underneath is gone, and it’s a huge boost. This was always an awkward charging solution. With apologies who those who liked popping off the weirdly cheap-feeling plastic cap and sticking their Pencil awkwardly into the Lightning port on their iPad to get a charge, Apple’s new approach means I am far more likely to have the Pencil with me when I might use it and that it’s more likely to be charged, too. No, the new magnetic attachment and inductive charger aren’t perfect. The attachment is strong enough to hold the Pencil when I’m carrying the iPad around, but it’s not quite strong enough to prevent it from getting knocked off when riding along in a bag. Still, when I suspect I’m going to be doing some stuff with the Apple Pencil I can snap it on my iPad Pro and it’ll hang out there—rather than needing to grab the old Pencil and find an awkward place to put it. 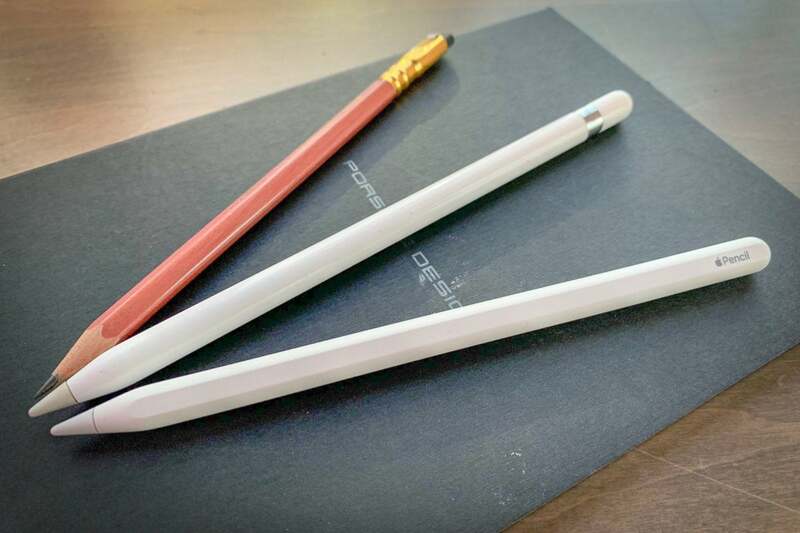 Even better, while it’s hanging out, it’s charging—so the Pencil will always be ready to go when I need it, without needing to wait to get it back up and charged. What really pulled me back to the Apple Pencil, though, was software. The fact is, even the best accessory will be a failure if you never have reason to use it. As I explained at the beginning of this story, you’re never going to see me viewing a sketch app or a painting app or a note-taking app (where you take notes by hand with the pencil) as a must-use app. 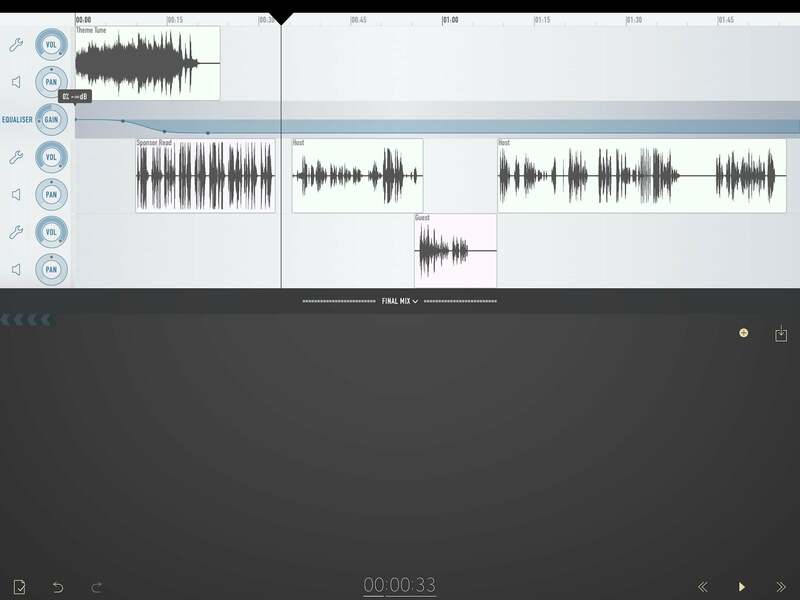 But an app I do use regularly—Wooji Juice’s Ferrite Recording Studio, which I use to edit podcasts—offers substantial support for the Pencil. When I first stared using Ferrite, I didn’t have a Pencil with me (and I believe its Pencil support was rudimentary), so I taught myself how to use it first with keyboard shortcuts and then, as the app evolved, entirely with touch gestures. Ferrite Recording Studio makes audio editing easier with the Pencil. One of the great things about Ferrite is that it doesn’t have a preferred interface mode—you can use touch, keyboard shortcuts... or Apple Pencil. While I was trying out the new iPad Pros and the new Pencil, I decided to try to edit a podcast in Ferrite, and my mind was blown. Now I was tapping and sliding the pencil to delete extraneous audio. The latest update added support for double-tapping on the new Pencil, which I mapped to a play/pause toggle so I could edit more quickly without putting the Pencil down. Not only am I using the Pencil in a way I’d never done before, but I’m using Ferrite more, and editing in more detail. I’m performing minor dialogue edits that I might’ve just passed by before because it’s so easy to do with a couple of quick flicks of the Pencil—especially thanks to its precision. Now that I’m toting the Apple Pencil around more often, I’m starting to consider other ways it could be useful. Using it to mark up documents and screen shots might be possible, though my terrible handwriting will still get in the way. And while I’m probably never going to choose writing text by hand over typing on a keyboard, I’m a little surprised that Apple hasn’t added a feature that lets you write text on the screen and have it translated into regular text. I’ve tried third-party software keyboards that claim to do this, but they’re... really, really bad. Apple could do it, though. Maybe it should. After all, when you’ve got a hammer everything looks like a nail—and when you’ve got an Apple Pencil and an iPad Pro, everything looks like an opportunity to put pen to paper—or should I say rubber to glass?